﻿Picture yourself in 1992, watching as the ribbon is cut on the dawning of England’s new football tournament, the Premier League. The times have been tough for English football, with the top division grappling with hooliganism and bans from European competition as it tried to wrestle back relevance from La Liga and Serie A. As the balloons fall all around you, think about the following statements. As the Premier League dawned, Liverpool FC were by far the most successful club in English football history. They had 18 championships along with a cabinet full of domestic and European cups. The next best was Arsenal, with ten domestic championships, and Everton with nine. Manchester United, those perennial strugglers, had eight. Their most recent success had come in 1966-67. In 2018, the tables had more than turned. Man U – their contemporary troubles with Jose Mourinho notwithstanding – have 20 championships, and Arsenal have 13. 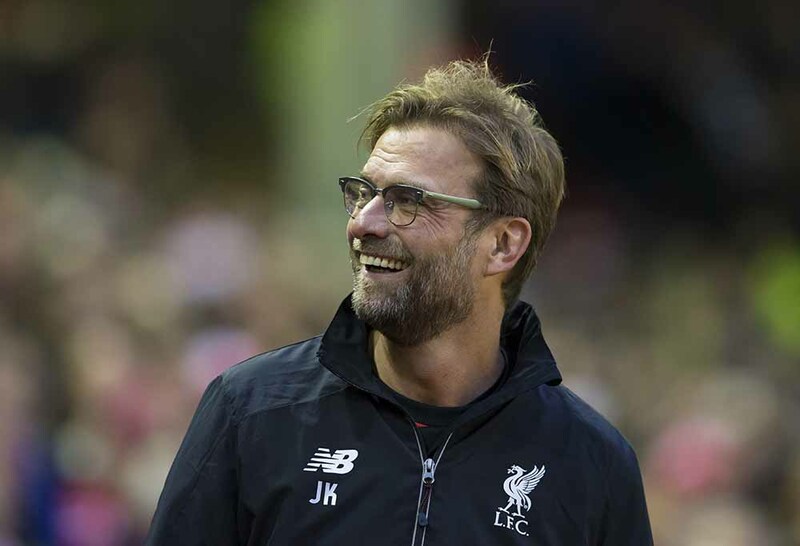 While the Reds have managed to pick up a Champions League and few more domestic cups, the Premier League title has continued to elude them. Liverpool remain stranded on 18 domestic championships. But hey, at least Everton still don’t have a Premier League either. But is 2018-19, like so many seasons before it, the year of the Red? The reasons for Liverpool’s long, painful absence from the dais are as difficult to explain as they were to predict all the way back then. 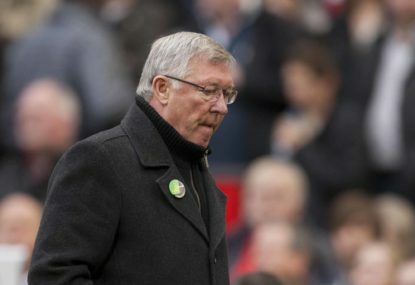 An Alex Ferguson dynasty here and an Arsene Wenger Euro revolution there – compiled with Steven Gerrard failing to find his footing at an inopportune moment – and Liverpool remain the only member of the supposed ‘big four’ not to have tasted Premier League success. 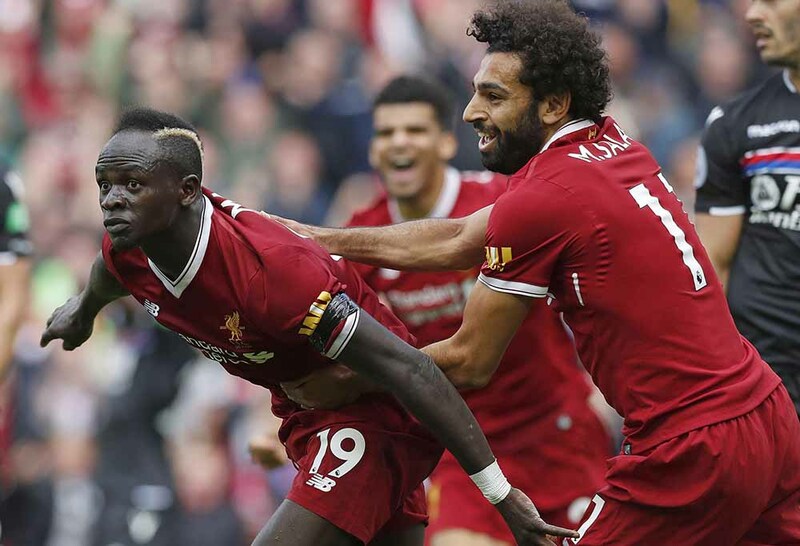 It’s only the fourth week of the season and three wins do not a trophy bring – just ask the unbeaten, top-of-the-table Watford – but Liverpool look good for the big prize. They’ve recruited smartly in the offseason, buying the players they need rather than trying to make a statement. 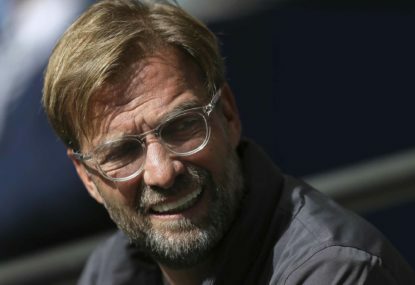 With Alisson in goal and Naby Keïta dominating the midfield, the Reds have the most complete side they’ve had since the Premier League started. 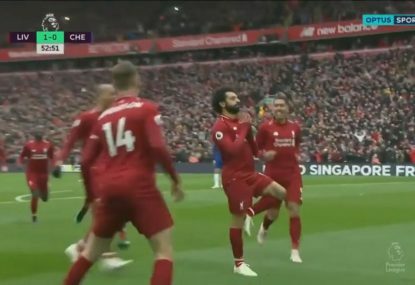 More importantly, they’re less reliant on the Salah-Firmino-Mane trifecta. 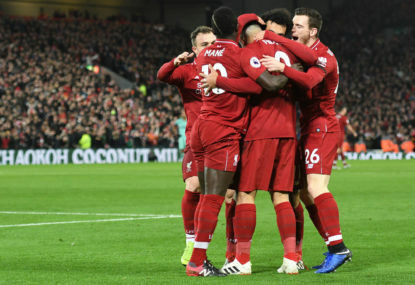 For the first time since Klopp came to Merseyside, the best forward line in Europe can pursue goals without being concerned about what happens down the other end. 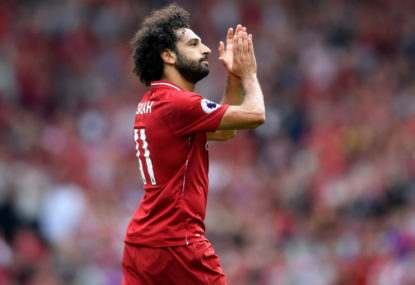 Even the bench, which was their obvious shortcoming last season – particularly in the Champions League final – is much stronger. Dan Sturridge looks good, Xherdan Shaqiri is motivated and Fabinho, Adam Lallana and a few others haven’t even got a game in yet. Alex Oxlade-Chamberlain, plucked by Klopp from Arsene Wenger’s pile of ‘gee they’ve got potential’, was transformed into perhaps England’s best midfielder before he tore all the ligaments in his knee. He’ll be back next year, armed with a confidence he never had at the Emirates. So then, it’s a done deal. Can we chalk up Premier League number one and championship number 19 on the Melwood chalkboard? Is there anyone else likely to rival the Reds at the pointy end? Man City are the obvious choice. 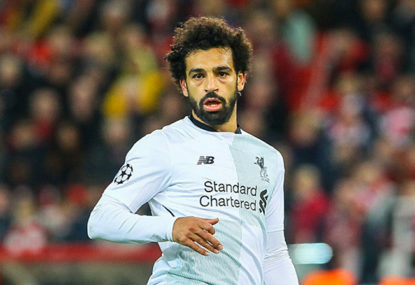 The fact a side can lose the best player in the Premier League and go on to win the next game 6-1 shows the quality they’ve got at their disposal. 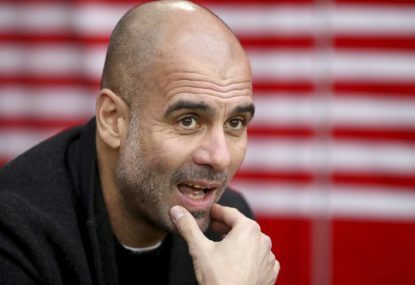 Pep Guardiola is the best coach of his generation and has spending power few can match. And with Arsenal poor and Jose’s Red Devils struggling right on time, can anyone else upend the two-horse race narrative? Tottenham haven’t signed anyone but have prevented the poachers, which is something only the biggest clubs are able to do. Their 3-0 win over Man Utd at Old Trafford was impressive and their move back into White Hart Lane – albeit slightly delayed – has come at the right time. With a great coach and the Premier League’s best striker – along with a World Champion keeper who now needs to take the bus to training – this is the season where they need to prove that they’re not just the nearly men. And then there’s Chelsea, who are right on track for their ‘first time’s a charm’ coach-recruitment package, seeing Maurizio Sarri lifting the Premier League in his first season, before jetting off with a nice redundancy payout to sit on a beach chair next to Antonio Conte and presumably Jose. Definitely a goal of the season contender.